The Music Show is designed for anyone who makes music. PRESS RELEASE: A brand new music exhibition and education conference dedicated to music making is taking place in Manchester this November. 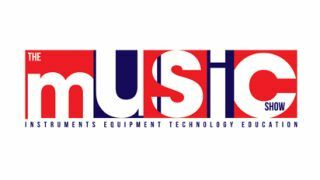 The Music Show will take place at Manchester Central on Friday 15th and Saturday 16th November 2013 and will promote the benefits of music and showcase the latest products and services to musicians, educators and industry professionals. The two-day exhibition is open to anyone who has a passion for making music from aspiring bands, musicians and industry professionals to teachers, students and their families. Chris Martin, Event Manager at Hamerville Media Group, says: "The Music Show aims to inspire anyone who has an interest in making music - it is about widening access to music. Manchester is passionate for making music, and it is the centre for music education which is why we were determined to bring this brand new show to the city. Chris adds: "In addition to exhibiting there will be opportunities for members to get involved in delivering professional development workshops, instrumental and vocal masterclasses which will provide greater exposure across the two days." Korg UK has signed up as principal conference sponsor and will be showcasing all their brands including Korg, Vox, Walden Guitars, Hartke, Samson, Mapex, Paiste and Jupiter, amongst others. Guests will be able to visit The Korg Education Suite for two packed days of seminars and demonstrations. Co-located within The Music Show is the Music Mark National Conference. This year's conference will be bigger than ever following the merger of the Federation of Music Services (FMS) and National Association of Music Educators (NAME). The conference will encompass formal music education, informal music making and music performance. Scan Pro Audio have also signed up as a major sponsor and will be showcasing and demonstating their latest products and services at the event. Amongst those in the music industry supporting the Show include Normans, AVID, ABRSM, Allianz, Schimmel Pianos, Synthax Audio, Faber Music, The Sound Post, Forsyth's, Royal Northern College of Music, Take It Away, Tom & Will, Kawai, Black Cat, Stentor and Vincent Bach International. The exhibition is open to the public on both Friday and Saturday, but there will be a particular emphasis towards education on Friday. There will be a programme of live musical performances including a massed choral event performed by students from the Greater Manchester Music Hub.